Thanks to their excellent run-out, and high durability, the Fuji FG-26HL industrial straight grinders are the ideal tools for heavy duty applications performed in shipyards, bridge construction, rolling stock, and foundries. The Fuji FG-26HL straight grinders Series is a new addition to the FG-26H industrial die grinder family. 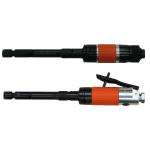 With an additional 120 mm of length, the FG-26HL extended versions facilitate the operators’ job in restricted areas and ease the access inside parts. 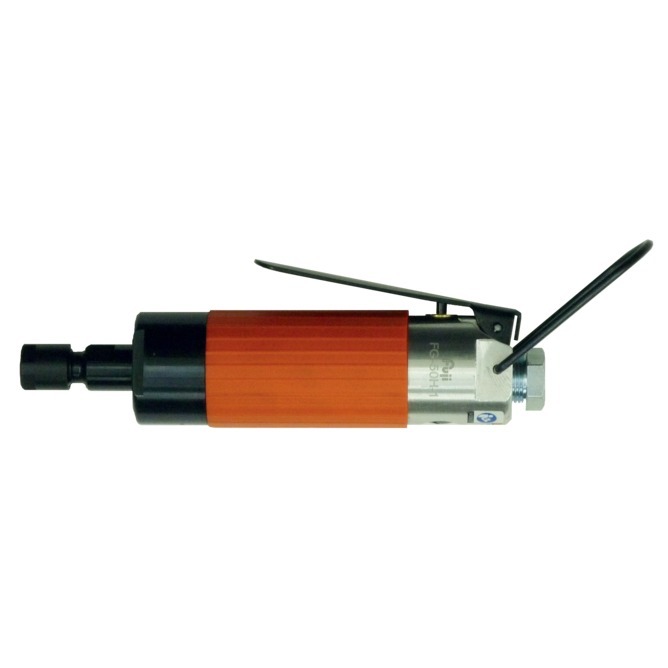 The FG-26HL delivers best in class run-out for an extended die grinder: less than 0.03 mm. This low run out significantly reduces wear to carbide burrs, thereby reducing operation costs. 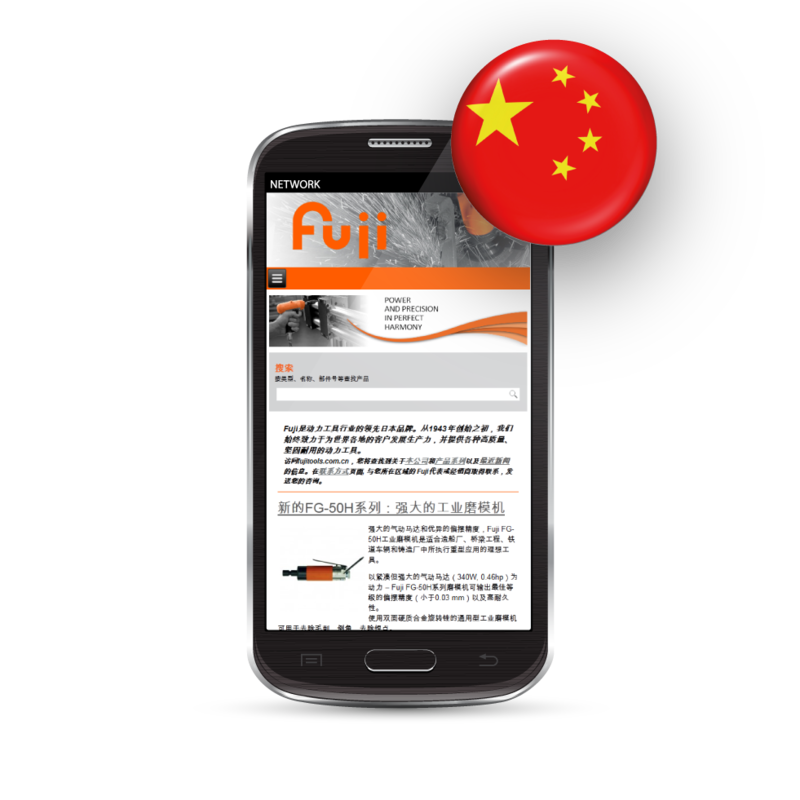 China is one of the largest markets for Fuji Air Tools, and in reflection of that the Chinese language version of Fujitools.com is now available. The full web-site, including online product catalogue is now maintained in English, Japanese and Chinese. 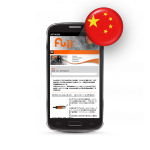 For contact requests in Chinese – the Fuji China sales office is available to answer any questions or to inform about the closest Fuji dealer. Thanks to the powerful motor and excellent run out, the Fuji FG-50H industrial die grinders are the ideal tools for heavy duty applications performed in shipyards, bridge construction, rolling stock, and foundries. Powered by a compact yet powerful motor – 340W, 0.46hp – the Fuji FG-50H series die grinders deliver best in class run out – less than 0.03 mm – as well as high durability. 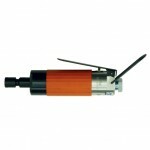 These versatile industrial die grinders can be used for deburring, chamfering, weld bead removal with double-cut carbide burrs without stall. 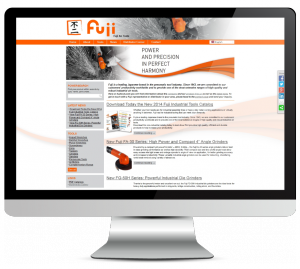 Fuji is happy to announce a completely new fujitools.com. 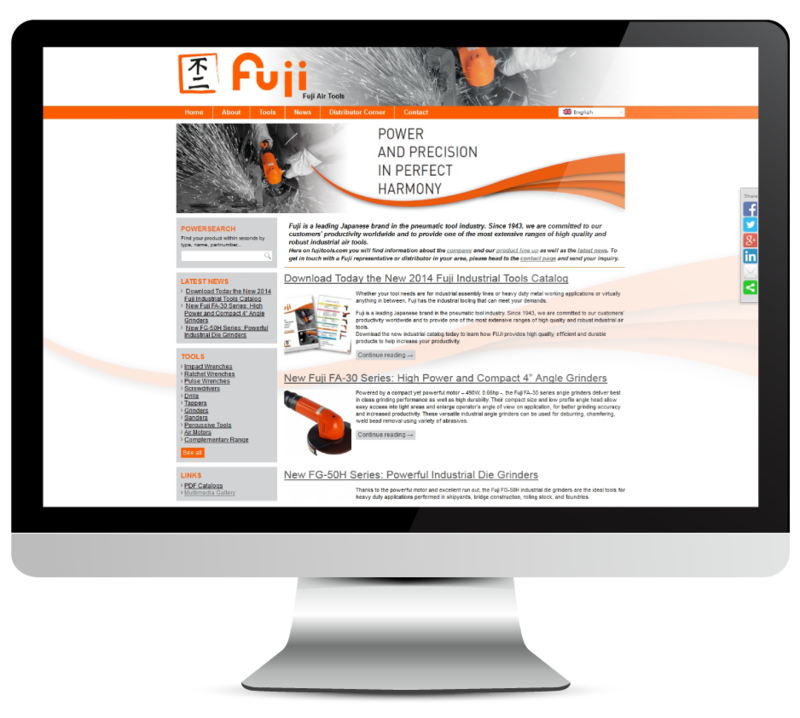 The brand new design brings functions to help locate both the right Fuji product and to get in contact with Fuji representatives worldwide. It will also be a source of news about the Fuji products and other events. Whether your tool needs are for industrial assembly lines or heavy duty metal working applications or virtually anything in between, Fuji has the industrial tooling that can meet your demands. 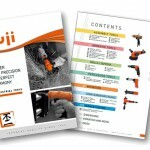 Fuji is a leading Japanese brand in the pneumatic tool industry. 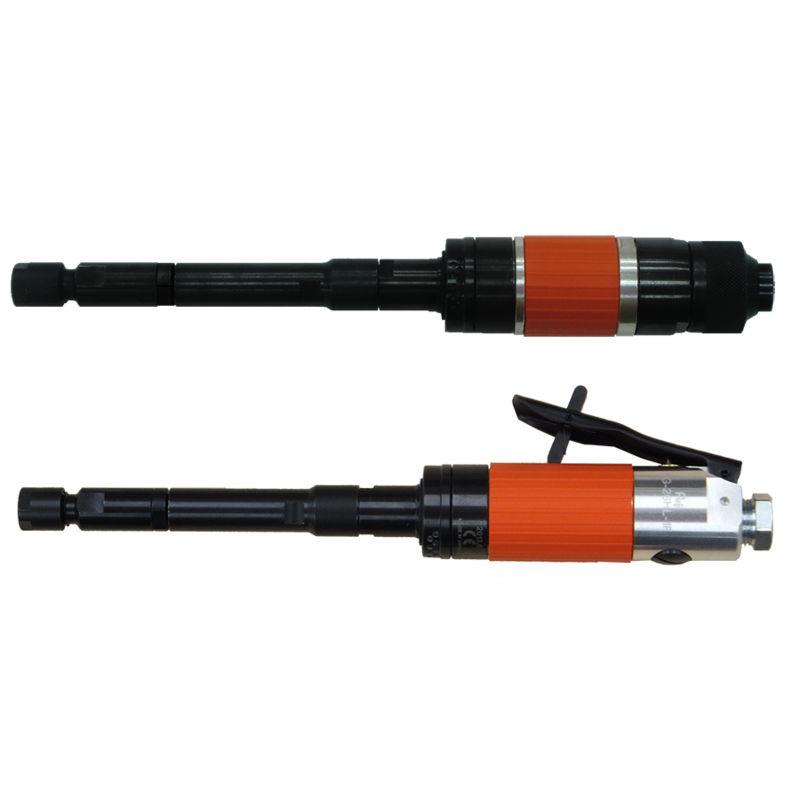 Since 1943, we are committed to our customers’ productivity worldwide and to provide one of the most extensive ranges of high quality and robust industrial air tools. 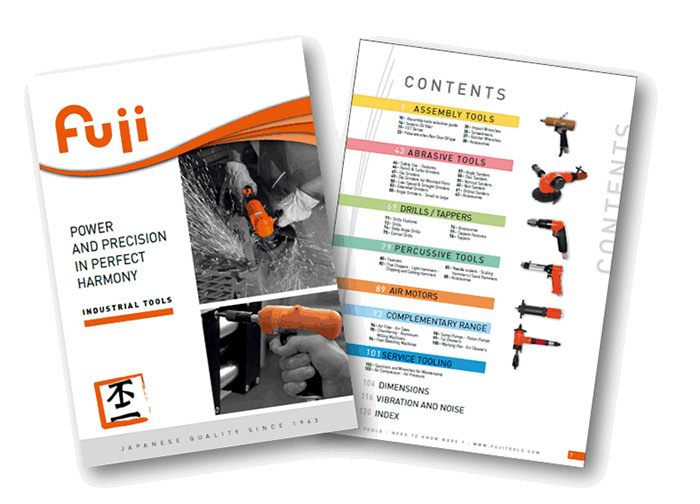 Download the new industrial catalog today to learn how FUJI provides high quality, efficient and durable products to help increase your productivity.